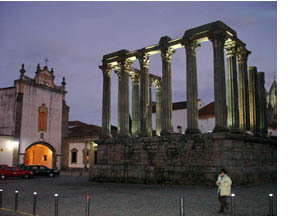 An important Roman settlement, taken over by the Moors in 715 and favored by Portuguese royalty as of the 12th Century, Evora has inherited an impressive mixture of architectural styles, including this fantastic Roman Temple, the Temple of Diana, in the very heart of the city. A UNESCO World Heritage Site. 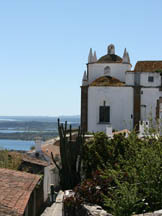 If you are fond of good wine we recommend a trip to one of Portugal's many wine producing Estates. 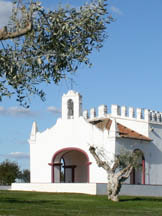 The Herdade do Esporão situated about 2km from Reguengos de Monsaraz in the Alentejo is one of the regions's most prestigious wine producers. 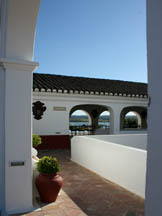 You can visit their grounds, enjoy a fine lunch in a luxurious setting and purchase some of their great wine at the estate's shop. 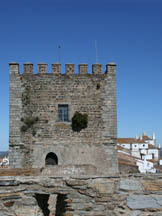 It is possible to make a day trip to Esporão, but since it is about 2 hours drive from Cascais we recommend you stay overnight and why not take a look at the ancient town of Mosaraz while you are there. 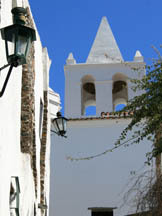 A quite medieval village, set on a hill top where time appears to have stood still. 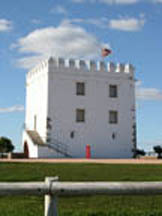 July is probably the best month to visit the town due to the various cultural and gastonomical events held throughout the month.